I created this guide to help my friends avoid all the web searching to fix, improve, or change all of these Windows 10 options. Microsoft Windows 10 is an Operating System that thinks your awesome Gaming PC is a smart phone, and it is your Big Brother that has everything you need because it knows what you want, because it knows what you do. In the past, this was a private and secret relationship between you and your PC, but your Big Brother will read your emails now and gabs about all that private stuff with Big Daddy Microsoft to help "improve" your "experience". As your Big Brother, Win10 know best - it will turn off your PC and restart it when it thinks the next 3.2kb Windows Update is more important than anything you as a mere User of the PC may consider important. You will need to put in some work to wrest control of your PC back, and doing so may cause more work for you down the road as you manually update Windows or manually add newly installed programs to permissions lists for Privacy and control purposes. Again, thinking that it's an operating system installed on a phone, Microsoft Windows 10 Brand programs are called "apps". Many come installed with Windows 10, and many more are available on the Microsoft Store. I couldn't tell you what is there because I've never had a reason to open it, though I'm certain it's trying to be another Android App Store packed with free and paid "apps" with plenty of questionable permissions and underwhelming content. It is worth noting that you do not need a Microsoft Account to use Windows 10 and nearly all of it's features. If you use email through your web browser like most people, or if you don't use your computer to manage your contacts or xbox account(s), you'll be able to use Windows 10 without ever creating or signing in to Microsoft. And if you think you need to use Minecraft Windows 10 Edition and therefore create/sign in to Microsoft, you should re-examine why you would use that version of Minecraft: you cannot join "normal" Minecraft servers or third-party servers, it doesn't support mods, or Realms, and is not required to play Minecraft in VR. The most important starting point is the Windows 10 Privacy Settings screen. Here, there are 13 tabs along the left side for the many screens you should review. I've found that for my PC use, nearly every option is set to Off. Near the bottom are a few that are important and should remain On. Open the Start Menu and type Settings, then press Enter. Click on the Privacy icon. The section "Other devices" has a sub-section called "Use trusted devices" which may contain certain devices you'll want apps to use. Leave this On, unless you have reason to kill it. Background apps are programs that run, or can run, at any time or all the time. This is helpful for programs such as the Weather App which keeps the Weather Tab on the Start Menu updated, but for performance, privacy and even security, it's best to monitor and limit the programs you allow to run in the background on your PC. Personally, I only have Windows Defender, Weather, and Photos allowed to run in the background. Under "Background apps", you may want certain apps to be allowed while others should be turned off so they are only running when you activate them manually, and you should set these before continuing. App diagnostics is the final tab at the bottom, and the final Privacy settings screen. In most setups, most apps should be allowed to access diagnostic information, but if there are any apps that need permission to access this, they will appear on a list on this screen and you can set them as you wish. Most PC's have an Ethernet cable connection for internet, but some may have a WiFi adapter as well - and of course, most every Laptop has both. You can turn off WiFi under the WiFi settings screen if you use a wired connection. Windows 10 also has a WiFi Sharing feature called Mobile Hotspot that allows your PC to become a WiFi Hotspot for other devices, and it is turned on by default for all Windows 10 users. You may want to disable this on a PC, or you should review & set this accordingly if you have a Laptop. If you don't use Hotspots or networks shared by your Contacts, turn off these settings here as well. Finally, select "Change advanced sharing options" under the Control Panel to review and set these options as appropriate for your PC use, I have all of them off. You can find a link to this under the WiFi tab - scroll down to the "Related settings" section and select "Change advanced sharing options". One of the best features of Windows 7 over Windows XP was the ability to press the Windows key to bring up the Start Menu so you could begin typing the name of a program, file, or even some of the contents of a file, and have them appear on the list of the Start Menu. With Windows 10, attempting to perform this action has the chance to search the internet through the Microsoft EDGE Internet Browser and Bing when no sufficient result is displayed on the *first* Start Menu search screen. This is because Windows 10 has separated the Start Menu search into 3 categories called "apps", "documents", and "settings". The default search will only look for apps and files on the local C:\ drive, and if you use multiple Hard Drives and SSD's, you will need to click the Documents Tab at the top after typing what you are searching for; otherwise when you press Enter to search, Microsoft EDGE will open up to search for your file/item on the internet through Bing. For this reason, and plenty of others, it's helpful to disable the Microsoft EDGE Internet Browser if you use Google Chrome, FireFox, or another Web Browser to view the internet. Of course, MS won't let you simply turn off or uninstall their premier browser, so we have to get creative. Navigate to the folder and rename it to anything different and Windows will be unable to start it due to an internal file path error. Microsoft has a secret hidden setting for displaying Microsoft Ad content and tracking in your Web Browser whether you use Chrome, Firefox, etc. This invasive feature will literally read your email text, such as Gmail in a Google Chrome Web Browser, in order to "create a more customized online experience". To disable this feature, or "opt out" of this "Microsoft Advertising Experience", you must open your internet browser and go to the link below - on the right, Turn Off each of the options. Do this in every one of your web browsers, and be sure you temporarily disable any ad-blocker or pop-up blockers to ensure the page is displayed correctly and that the setting change goes through. Okay, it's not a secret and it's barely hidden, but I'm spitefully calling it that due to the fact that this should have been an option under Settings in Privacy. The installed web browsers could have been listed just as Windows 10 lists Apps that want to run in the background, or access Diagnostic information, with an individual Off/On slider just like every other option under Privacy Settings already, just like the secret hidden opt-out webpage. Windows 10 Updates are invasive and annoying. The PC will be restarting itself whenever a new update arrives, and it can cause problems. You can limit this behavior in the settings by having Windows 10 notify you and ask when it should restart. If you want to completely stop the Updater from restarting your PC, the only resort is to disable the Windows Update service and set your internet connection to "Metered". 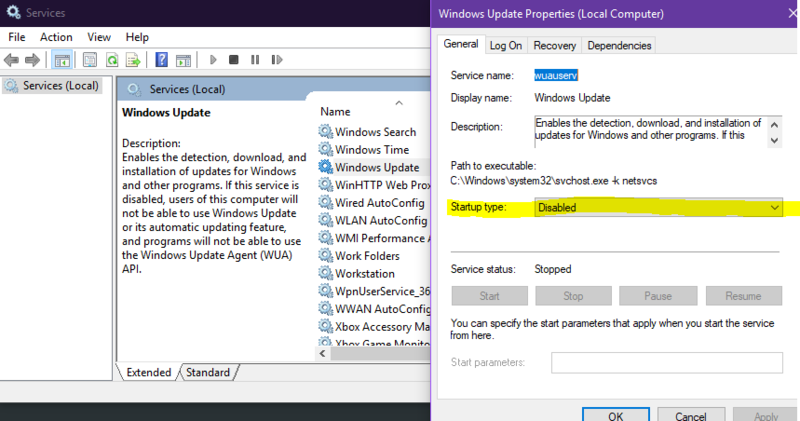 This means when you DO wish to run through the available updates, you must re-enable the Windows Update service in the same way and disabled Metered Connection for your ethernet/WiFi. It would be a good idea to do this at least once a month, particularly if you rely on Windows Defender as a security service. By manually taking control, you have the option to perform a File & System Settings backup before any Windows Updates are installed, in case the worst happens. Let's face it, Windows ain't what it used to be, and data loss is terrible - I've up'd my Backup schedule significantly since I've switched to Windows 10 and I recommend the same to everyone, or better yet, a backup subscription service like Carbonite. Change Startup Type to Disabled and click Apply. You will need to restart your PC for changes to take effect. The Windows 10 Calculator "app" is another thing Microsoft changed for no good reason. They've separated functions into tabs, and made the font huge (again, thinking your PC is a tablet or smart phone). The Unit Conversion Tab makes it so you cannot make a conversion while looking at your calculator space and calculation history, and though this is a seemingly small gripe, adding that extra step to go back and forth between the Unit Conversion and the actual Calculator is unnecessary and cumbersome. Luckily, there's a Windows 7 calculator program for Windows 10 already, and you won't be able to tell the difference. I actually think he may have just copied the source code of the original and made it modular - or made graphical duplicates for the GUI so close it's near perfect. 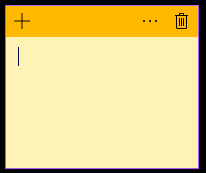 Start the Sticky Notes program - it will restore all old notes, which could take awhile depending on the number of notes. Many Windows 10 Apps come pre-installed, and whether you use them or not, they will get updates, run in the background, or even access the internet from time to time. 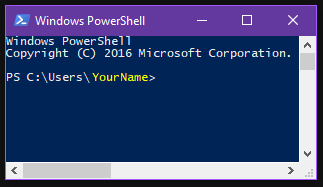 Some of these can simply be un-installed in the normal fashion, but others must be manually removed through Windows PowerShell. 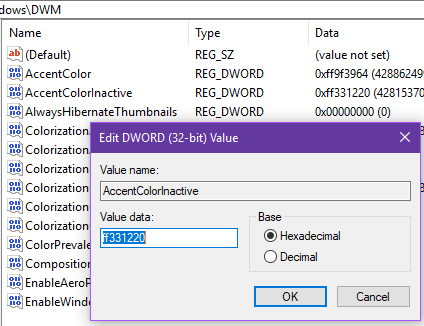 This is a simple Command Prompt style interface that allows you to manipulate a number of Windows functions, and here we can use it to get rid of the useless baggage that Windows 10 comes bloated with. I'll note that though I use the old Windows 7 Calculator program, I haven't bothered to remove the Windows 10 Calculator. Also, I use the Weather App that is shown as a button on my Start Menu. Ditch the Windows 10 Start Menu altogether if you want with Classic Shell -- a freeware program with no bs, allows a number of choices to get your Start Menu looking the way YOU want it. 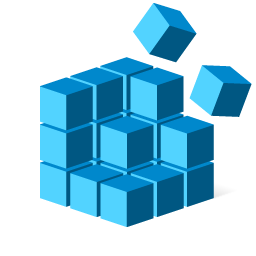 If you hate the terribly slow search times in Windows 10, or it's inability to search all attached storage devices and drives at once, try Everything by voidtools -- another freeware with no strings attached for instant file searches in Win10. You can change the items that appear on the Start Menu under settings as well. Remove useless features you don't use and de-clutter the Start Menu here. Below the Start options screen is the Taskbar screen. Review and adjust settings here before proceeding. If you use Multiple Monitors, you may want to limit the Taskbar to one particular monitor and you can do that here. Windows 10 won't stop with the pop-ups. Every little thing seems to get a notification pop-up these days, and you can limit this behavior in the settings. Review the notification settings and set as appropriate for your uses - I have them off completely. You can also change which "Quick Action" buttons appear on the taskbar notifications tab in this screen. Windows 7 had a nice Window Snapping function, but Windows 10 can't let an unbroken system remain unfixed. You may find that trying to snap a Window to the left, right, or top of the screen resizing all nearby windows as well. Very frustrating when you're just trying to move a single window like a webpage or pdf document. You can disable this "resizing of adjacent snapped windows" under System Settings. Multi-Monitor users will want to review these settings carefully. The rest of the modifications I've listed here required modifying or creating Registry Keys, and you must be careful when working with the Registry. You can very easily follow these instructions and copy/paste the Registry Paths that I include and the Key names directly from this guide. There is no harm in what I have listed. But every instruction telling people to work with the Registry must include a note of caution. Follow instructions to the letter, if something doesn't look right, ask a question before proceeding. Do not worry, though, as I followed these instructions as I've written them myself and my Windows 10 PC is working AND looking great! To open RegEdit, open the Start Menu and type RegEdit, press enter to open this program - copy the HKEY path from the parts of this guide below with your mouse and paste it into the address bar of RegEdit, then press enter to go there. This is how you navigate to an HKEY entry in the Windows Registry. The Folder View is always on the Left and the Entries on the Right. To create Entries on the Right, you Left-Click a Folder on the Left, and select New> and then choose the entry I have listed below, setting the name as I've written it. Simple. If this value already exists, just modify it's Value as instructed and press OK. Many of these settings require you to log off or restart your PC before they take effect, but you can perform all of these actions below and restart one time afterwards. 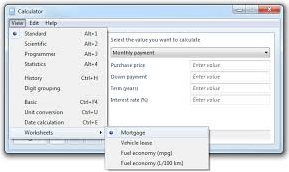 Using the Mouse to drag a window to the top, left, or right margin will cause the window to "snap" there. You can achieve the same effect by holding down the Windows key and pressing the arrows on the keyboard (up, left, right, or down for "minimize") making the mouse snapping redundant or even cumbersome. Personally, I use the keyboard only so my mouse can move windows more freely. name this new folder (or "key") Windows Search and press Enter. Windows 10 surprised me right away when I first started using it: the Title Bar of windows I did not have selected, like the Chrome Browser playing Neflix as I write this, was the exact same color as the Title Bar of the Window I was working with. This makes it difficult to tell which Window is currently active, and again an example of Windows 10 fixing or changing something that just didn't need to be changed. **You must include the # symbol in this value - for example, you'd type/paste in #DBA901 to get the Gold color we use on this website. Upon re-entering the Key, you may notice the # symbol replaced by 2 letters/numbers such as ffDBA901; this is normal, it's the alpha (transparency) data of the HEX color code, usually defaulted to ff (0% transparent). You can add the ff yourself instead of the # symbol, if you want. You will then need to open Settings -> Personalization -> Colors and toggle Transparency Effects to Off and On again. If you don't like it and want to revert to a less transparent Taskbar, change the DWORD back to a value of 0 and toggle this On/Off switch again. Windows 10 will transform and decrease the quality of the pictures you select for your User Profile and Desktop Background to an 85% quality JPEG. There may be some valid reasons, but they likely don't apply to most people. Our final option in this guide is to force Windows 10 to respect the resolution of the images we wish to set for our own Operating System. Wow nice job sem. Thk u.